It is coming at a time the journey of the presidential candidate of the PDP, Atiku Abubakar, to the United States, made news. The APC is linking him with the collapse of Bank PHB. 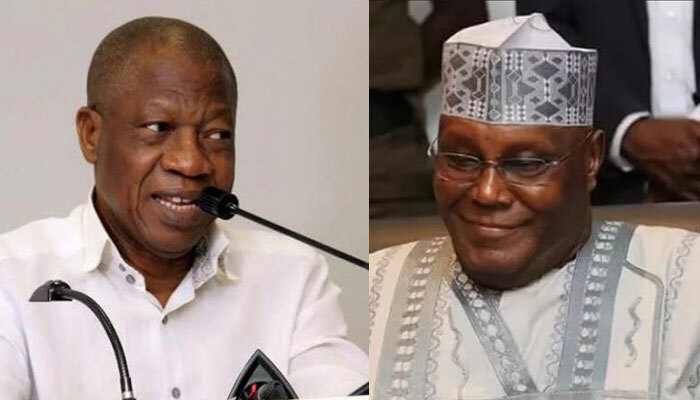 While the PDP presidential candidate and former Vice President is holding talks with some government officials and Nigerians in the U.S., the Minister of Information and Culture, Mr Lai Mohammed, is insisting that Atiku has questions to answer as regards an alleged involvement in the collapse of the bank. “There’s fresh evidence that on January 13, 2009, that Mr Abubakar was issued a check of 156 million Naira from the bank.,” he told journalists on Friday. Nigerians would have expected that the Economic and Financial Crimes Commission (EFCC) should have gone after Mr Abubakar long be fore now to unravel the truth about the allegation that Mr Lai Mohammed had put forward, but the Minister said the EFCC may not go after him. Atiku should be ready to provide answers to Nigerians as soon as he gets back from the U.S., Mr Mohammed stressed. “In any event, anytime Alhaji Atiku Abubakar returns home, he has questions to answer following the fresh evidence that we have, that he benefited from the slush funds that led to the collapse of the former Bank PHB. “The paper trail which we have here shows that he benefited to the tune of 156 million Naira from that slush fund and we have evidence here of the account mandate in the name of Atiku Abubakar, we also have a copy of the check in which the sum of 156 million Naira was issued to Atiku Abubakar dated the 13th of January 2009 and of course we also have the statement of account within that period that confirms that this sum was actually paid into his account”. Atiku had touched ground in the U.S. on Thursday, after claims that he would be arrested in the U.S. if he visits. One of the persons that travelled with the former Vice president of Nigeria is Senator Ben Murray-Bruce and he has reacted to Lai Mohammed’s statement. On his Twitter page, the common sense Senator described the statement as pathetic. “Bank PHB has been defunct for a decade, but it is the day after Atiku Abubakar proved them wrong by coming to America that they suddenly remember that he has a case to answer? “This is such a disappointment. “I thought their fight back would be something smart. But this? This is pathetic!” Mr Murray-Bruce said. Nigerians are waiting for the return of Atiku to know if the EFCC would go after him or not.